The Comprehensive Geriatric Assessment (CGA) is a diagnostic instrument designed to collect data on the medical, psychosocial and functional resources and problems of elderly patients. The information gathered is used to create an overall plan for treatment and follow-up. Currently, CGA is performed by social and clinical professionals involved in the care of elderly people: physiotherapists, occupational therapists, nurses, social workers, psychologists, medical doctors, etc. 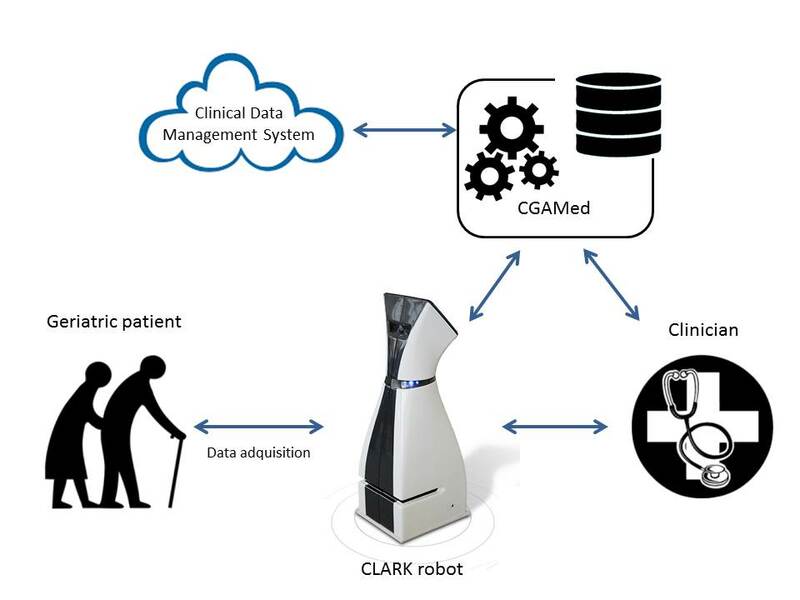 Utilizing robotic technology to conduct geriatric tests will reduce the time medical professionals have to spend with purely mechanistic tasks like documentation. Thus, they will have more time to develop individualised care plans for their patients. The possibility to assess and record the cognitive and physical status of a patient increases transparency and objectivity of the assessment. The interim results of the technology development will be evaluated in the geriatric hospital itself in the traditional manner. For more information about the aspired solution and the technical requirements please download this PDF file. After the first on-site tests in July 2016, two out of the three consortia qualified to continue for another twelve months of funded prototyping. Click on the boxes below to learn more about these two different approaches towards using robots in CGA.